Boxes and moving are in my future!! The Hubs and are moving to a new apartment in a month - I can't wait!!!! And beyond the extra space, hello second bedroom and second bathroom, exposed brick & HUGE deck, I am sooo excited to redecorate!!!! We-HEE!!!!! Be prepared for multiple posts on decor coming right up!! I've started pulling together some inspiration for our new place, if you follow me on Pinterest you may have noticed a new Board called 'New Place'!!! Clean, bright, relaxed, modern mixed with vintage. Do you have any favorite resources? Great couch I should look at? I'm excited to take you all along on my process! Oh so exciting! I honestly draw a lot of inspiration from the West Elm catalogs and they have great couches there too. WE has the Hubs favorite couch so far! I love everything from there! Oh I KNOW GIRL!!!!!! ;) I know!!! How exciting and your new places sounds like a dream!! I can't wait until the day that I can move again because I know how fun (and exhausting) the decorating can be. I had to learn this through the years of trying to get the decorating just right in my place, but please don't buy something that will just fill a space you have a cross one item off your list. Buy what you love and can see yourself living with for a long time. I agree 100%%%%%%%!!!!!!!! We did that our first go around, it isn't horrible but do we love it no. We grew to not mind it but it has also been 5 years so we are ready and excited for change! I've been planning for a while so we have plenty of ideas! Jayson Home & Garden has the best best sofas! They TOTALLY DO - although I am not sure they will fit in our budget...well not if I want anything else :) they are at the top of my list though! So exciting!!! Can't wait to see how you put it together. 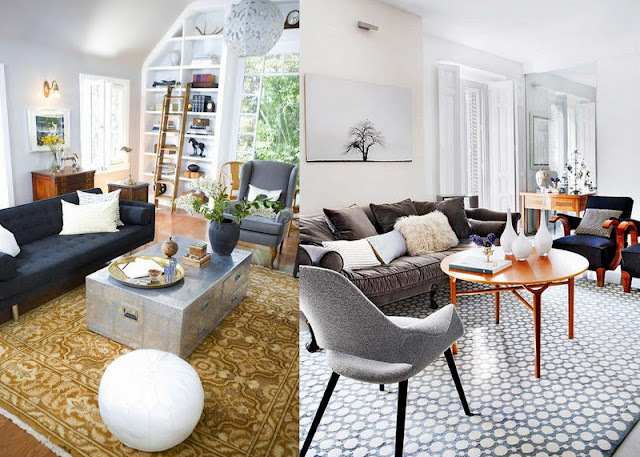 I'm absolutely loving these spaces! 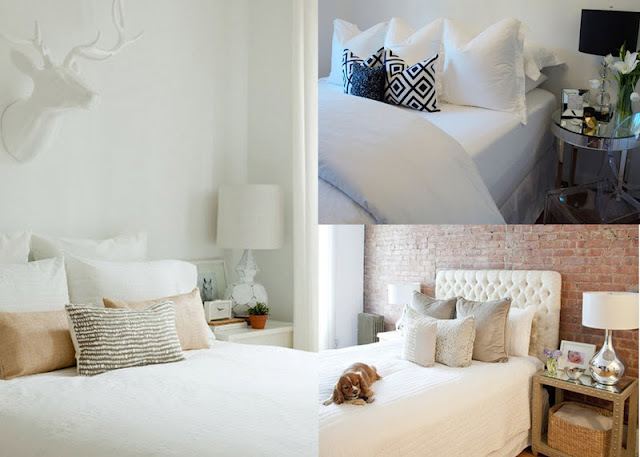 That bedroom with the exposed brick is gorgeous - I've been eyeing some tufted headboards lately, I'm thinking one is in my future! I'm always checking out Rue Magazine for decor inspiration - such a great resource! How fun! I love moving to start fresh from scratch. I can't wait to move in a few years to get to do what you're doing. WEST ELM ON THE SOFA FRONT!! i am still in love with our room and board couch we purchased when we moved into our condo 8 years ago! it's solid. congrats on the move!! are you staying in your hood or going north? south? thanks again for donating the clutch! our event was a great success and had a big turn out - so lots of exposure for all! This is SO exciting! You're going to have a blast decorating. I can't wait to see all your posts from the new place! How exciting! ahh so exciting!! the exposed brick sounds amazing! are you renting or buying?? i can't wait to move into a bigger space! i'm still in the process of decorating, but i try to mix investment pieces with accents from places like target and home goods. that way if i get tired of the chevron pillows on my couch, i can switch them out and don't feel like i need to keep them b/c they were expensive. excited to see what you come up with! So exciting! 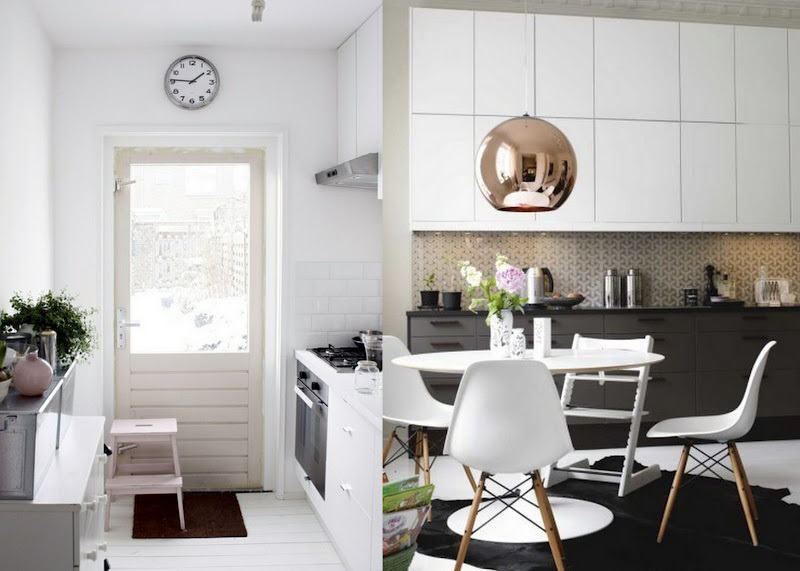 Love those dining room chairs from the inspiration room!